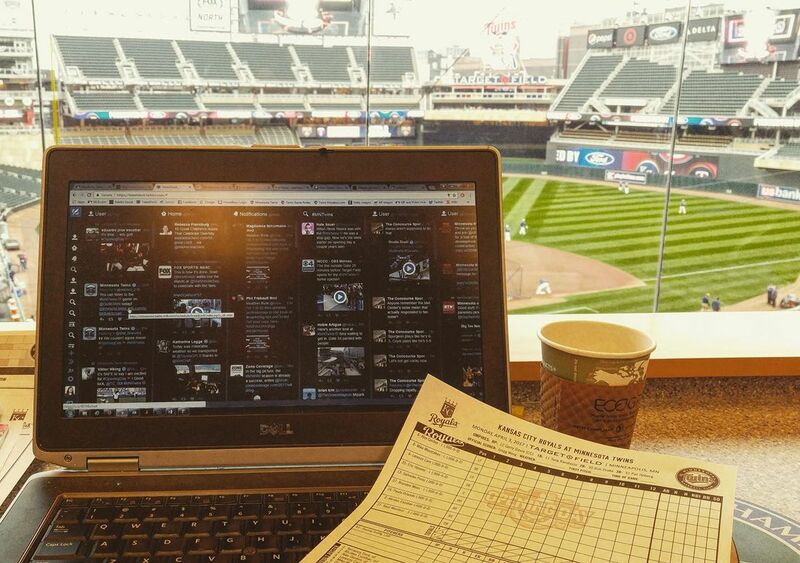 As an in-game social media coordinator with Major League Baseball, I update the Minnesota Twins Twitter account during games with scoring plays, graphics, GIFs and videos. Tweets include fun reactions to home runs and other scoring plays, comments on good defensive plays, and a variety of player/team statistics from the game and season. I've also included emojis and hashtags, like #DozierGoesDeep, #LetItSano, #TwinsWin and #PlouffeThereItIs. Look for the #MNTwins hashtag. I also update the team's Facebook and Instagram accounts with post-game videos and recap graphics.